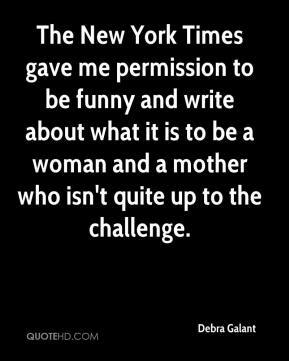 The New York Times gave me permission to be funny and write about what it is to be a woman and a mother who isn't quite up to the challenge. Maybe (writing a book like this) starts with a little bit of bitterness. 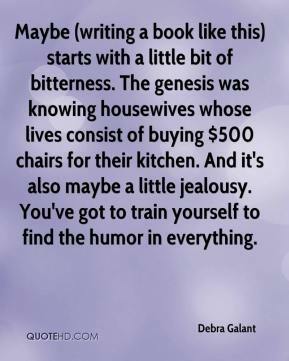 The genesis was knowing housewives whose lives consist of buying $500 chairs for their kitchen. And it's also maybe a little jealousy. You've got to train yourself to find the humor in everything.